Fortresses were built by militaries as border controls, creating a vantage point to spot invading battalions from land or sea. The fortified city of Monteriggioni in Tuscany, Italy, was the site of a major confrontation between Assassins and the Templar enemy. With stone walls and imposing height, the fortresses were defended by skilled Assassins. Now you can build your own Fortress Attack by Mega Bloks Assassin’s Creed and ward off the enemy attackers. The tower features climbing poles, secure hiding spots and ledges from which to take a Leap of Faith. 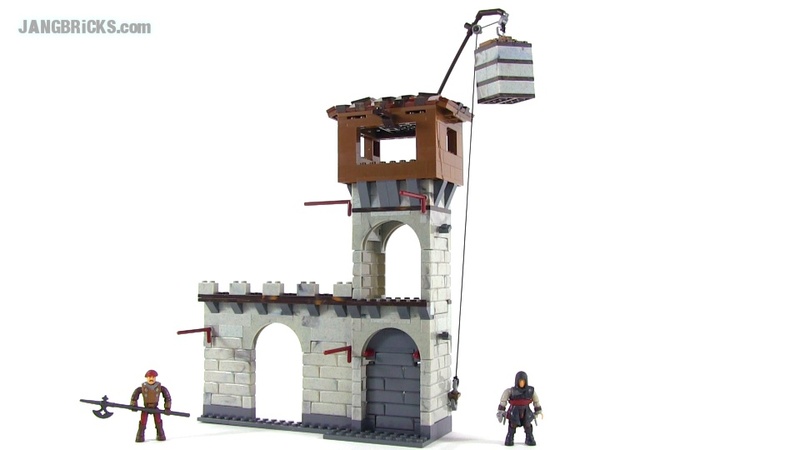 It also has a cable lift – attach your Assassin to the cable, then drop the stone weights to hoist him up to the top and take your battle to the next level. Combine with other Assassin’s Creed buildable sets by Mega Bloks to recreate historic battles and adventures. I LOVE these videos of mega bloks that you make on Mega Bloks Assassin's Creed.